You must become academically interested in YOUR Health IMO. If you do not you will likely have a lot of "health problems" expenses and time wasting visits to sawbones and witch doctors that are totally unnecessary. If you think I am kidding about the "Depopulation Agenda" you are incorrect. You MUST be aware of this powerful threat to your health and LIFE. There is so much disinformation and outright propaganda coming out of the CDC, HHS and the Medical INDUSTRY that if you do not know some basic Human Physiology and the true disease process you are going to be FOOLED into actions that will harm you. Most modern "disease" IMO in today's USA is a result of eating man-made crap and sitting on our butts. Hard to accept knowledge, but we are ignoring it to our continuous demise. Note drugs and Medical Treatment will not help you solve this NURTITIONAL and EXERCISE problem. IMO a good start is NO VACCINATION "Vaccination" is a deadly fraud. It has "protected" very few and has injected MANY diseases to include Dementia, Cancer, Alzheimer's, Autism the ASD diseases, the diseases of "vaccination" and the diseases of Weaponized Mycoplasma. 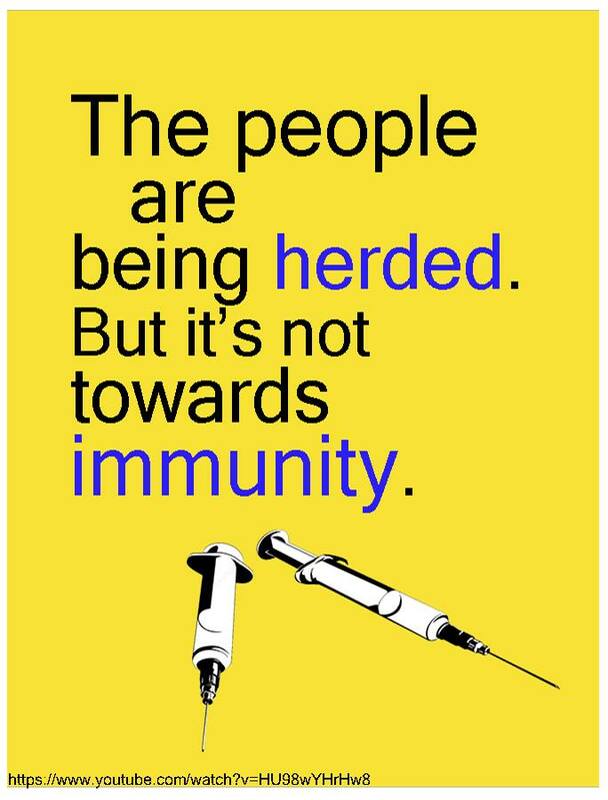 "One of the primary arguments that is being used to justify this insane behavior is “herd immunity.” The fact is that vaccination does NOT stop you from carrying bacteria or viruses in your nose, in your throat, in your intestines, in your airway, on your skin, or in your body. But many do not understand the significance of this fact, and have been made to believe that if you’re vaccinated, you won’t carry viruses, and therefore, others will be protected because you’re vaccinated. As it turns out, this belief is NOT based on scientific fact." Note it is proven that when you breath you exhale microbes in sufficient quantity to "infect" those around you. The simple truth is we live in a sea of microbes. Our problem is NOT avoiding microbes but what to do with them when they enter our bodies Millions of years of living with microbes has given us a wonderful protection 10,000 times more powerful and efficacious than "vaccination", our immune systems. "By focusing on preventive treatment my patients don't experience unexpected or surprise deaths. At age 40 many people are in declining health, even if you feel fine you probably have as many as 10 chronic illnesses beginning that can be treated with supplements, hormones and lifestyle changes." Doctor Eric Braverman MD, Note this is true if you have NOT obviated chronic illness which is quite easy if you understand it's origin. "Biophoton research also explains the underlying principles of why it’s so vital to eat a diet of mostly RAW food." Light and Your Body, Note even raw organic food loses much of its light energy after a few days on the store shelf; to get this light energy you MUST pick the food and immediately eat it. Just like we ALL did a few thousand years ago. Mankind had debated the cause of sickness and disease for many centuries. Pasteur and others noticed certain microorganisms were often associated with certain specific illness. They posited that these associated microorganisms CAUSED the sickness. “Moore and Lines (1973) in the Medical Journal of Australia published details of the Murray Valley encephalitis virus which occurred in Eastern Australia in 1971. This article shows that 22% of the population tested had HI antibodies to MVE and further tests upon young fowls clearly demonstrated that the virus was present in the region during the summer of 1971: however, no clinical evidence of infection associated with the virus was demonstrable during that period! It is now suspected that the disease only occurs during particularly wet seasons: in other words when the specific disease conditions are optimal, and the population affected is nutritionally depleted and especially scorbutic [low in vitamin C].” Note here we see the complex nature of disease initiation and how low nutrient status, often as in this case the critical vitamin C or vitamin D, often plays a CRITICAL part . “Satellite photographs of Africa have shown how gigantic flights of locusts will cover thousands of miles ignoring healthy vegetation, then descending & destroying fields where the soil is worn out.” * This phenomena parallels the relationship of microbes to disease, in which pathogenic microorganisms act as nature's censors, proliferating only when the human host's psycho - physiology has been imbalanced & weakened by such factors such as stress endo and environmental toxins." S. Mueller; A Horticulturist Speaks Out on Health ;Health Science; April - May 1980; p. 28. “Satellite photographs of Africa have shown how gigantic flights of locusts will cover thousands of miles ignoring healthy vegetation, then descending & destroying fields where the soil is worn out.” * This phenomena parallels the relationship of microbes to disease, in which pathogenic microorganisms act as nature's censors, proliferating only when the human host's psycho-physiology has been imbalanced & weakened by factors such as stress, malnutrition, endo & environmental toxins." * S. Mueller; A Horticulturist Speaks Out on Health; Health Science; April - May 1980; p. 28. Pasteur was correct that pathogens could cause infection. BUT disease can only result IF the host has a weak enough immune system to permit disease to result. In a body with a healthy immune system the initial pathogens are disposed of or rendered harmless often in SECONDS. Pathogens may be necessary for the initial contact but a weak immune system is required for disease to flourish. “The pathogenicity of a virus is mainly related to its capacity to overcome the non-specific defenses of a host.” How Viruses May Overcome Non-Specific Defenses in the Host Note The non-specific defenses are contained largely in our Natural Immune System and diet. The “pathogenicity”, the virulence, of a virus is primarily determined by the ability of the host to resist infection. OK so what does cause "disease"? Here we have to distinguish between a sickness that is temporary and does your body no lasting harm and a disease which your body cannot clear and which may harm you. IMO the confusing part is that both a TEMPORARY sickness and a serious CHRONIC disease may BOTH express the exact same symptoms as they begin. Most sickness exhibits symptoms of your body riding itself of something it does not like inside it. The classic symptom is a fever. Your body raises its temperature to help it clear the noxious substance. Most of the time your body will reduce the noxious substance to levels it is comfortable with and the symptoms go away. There is also the case where you body can be overwhelmed with toxins which may present as microorganisms, such as drinking water which is polluted with microorganisms. Here the "treatment" is not a drug, "vaccine" or supplement but removing the toxic pollution before drinking the water. Most childhood "diseases" are actually sicknesses and have been shown to be extremely salubrious for a strong immune system development. Our current sick medical paradigm "vaccinates" to prevent these salubrious events. As Doctor Andrew Moulden demonstrates each "vaccination" causes harm and can kill. The reason these NORMALLY harmless "childhood diseases", actually usually signs of proper immune development, SOMETIMES result in serious disease is IMO usually a shortage of vitamins D.C or A and a few other essential nutrients in the body of the victim. 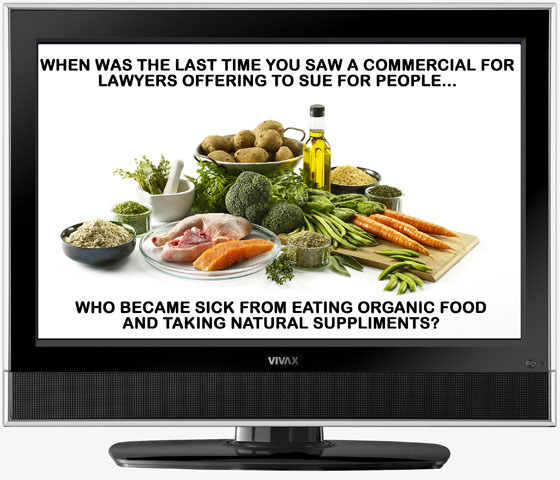 Disease is often indirectly contained in our "food", "medicine" and other everyday things. "In its ignorance of the forgotten Bechamp, medical science did not realize that the poisons they called drugs were opposed to nature's symbiosis and were perhaps encouraging pleomorphism to generate new and deadlier varieties of infections each generation." Tom Valentine, Note the founders of the world's first "Drug Company" Bayer Drugs, the Rothschilds did know. IMO this wrong fork in the road was deliberately and maliciously made and ENFORCED to bring us to the pathetic state of health we are in today. We will NEVER cure disease if we have the wrong model of disease. "Both Weston Price and Francis Pottenger accurately predicted that western man would develop more and more diseases as he substituted vegetable oils for animal fats, and reproduction would become increasingly difficult. By some estimates 25 percent of American couples are now infertile." Sally Fallon, Note do you think this just "happened" at the same time that depopulation is all the rage with our masters? "I am of the opinion that virus units have the potential of going from one type to another by just altering their protein coat. We see chicken pox at Thanksgiving, mumps by Christmas, red measles in the spring and polio and what we now know was Coxsackie in the summer. When the red measles vaccine was given to the children in our community we immediately had an epidemic of sore throats and many of the older people demonstrated Koplik's spots" Doctor Klenner, 1974, Note we see this virus transformation often in "vaccines"
Once in a while your body gets overwhelmed for some reason and your body cannot clear itself of the noxious substance. After several attempts your body grows weaker and disease may result. Most of these times YOU have inadvertently weakened your poor body. For example eating about three ounces of sugar with each meal will bring down your immune system by about 50% all day. The average person in the US eats about 8 ounces of refined sugar a day. There are thousands of other ways to weaken your immune system. A healthy immune system will protect you from most microbes and pathogens. Sound complete NUTRITION with god made food and EXERCISE will take care of most of the rest of "disease'. 1) Deficiency: What we are eating is deficient in nutrition and/or contains excess toxins. If you accept the "germ" theory of disease it puts you at the mercy of the "Medical Industry" and their "drugs". On the other hand you will not have to worry too much about taking care of your body. If you accept that your body is much more important a factor than the pathogens as a cause of disease, it puts you largely in charge and in control of your own destiny. I cannot tell you how much simpler it makes life to do without all mess of the "Medical Industry". On the other hand you WILL have to learn to take very good care of your body. I can tell you from personal experience taking care of your body can payoff big time. At 80 I still carry the hiking loads and travel the hundreds of miles on major hikes as I did 60 years ago. It just takes a little longer now. LOL! IMO the germ theory of disease is CLEARLY incorrect. Yes pathogens can cause disease but usually only in an unhealthy body. A pathogen infected body is the PRODUCT of an unhealthy body and NOT the normal cause of disease. The reams and reams of evidence shouts this out across the length and breath of medicine. We have reached a key juncture in medicine; either we acknowledge this obvious truth and completely reform the medical paradigm or we continue on the path to total self destruction with poor and toxic "food", toxic "treatments", toxic "drugs", toxic "vaccines", toxic "testing", and all the other toxins of modern "POISONED government". Yes they will be INFECTED. Then what happens? I contend if the victim has a Vitamin D level of 60 ng/ml and sufficient levels of Vitamin C and A, the infected person will defeat each and every virus often in seconds. In fact in the case of the wild measles virus, the virus often EXISTS in the body of the victim long BEFORE the measles infection BEGINS. Of course the CDC will not tell you this. The only infected who come down any viral disease, serious enough to pass the virus to others are those who lack the anti-infective vitamins in sufficient amounts. Of course with the CDC telling us to STAY OUT of the sun, where we obtain 90% of our vitamin D, only 1 CHILD in 100 CHILDREN has this preventive, immune strengthening measles, and most other infective diseases blocker. The GERM theory of disease is WRONG, WRONG, WRONG. If the infected child has a strong enough immune system he will DEFEAT any virus the human race has been exposed to and IMO even new bio-weapon viruses such as Ebola. The Rockefeller led Medical, Industrial, Government Complex has pushed Germ Theory for MANY decades to sell us mostly crap in the form of toxic Big Pharma drugs and more importantly to sicken us and comport to the UN Agenda's Depopulation Mandate. “One of the most disconcerting discoveries in clinical medicine was the finding that children with congenital agammaglobulinaemia, who could make no antibody and had only insignificant traces of immunoglobulin in circulation, contracted measles in normal fashion, showed the usual sequence of symptoms and signs, and were subsequently immune. No measles anti-body was detectable in their serum (the water part of blood minus clotting factors and cells).” Measles as an Index of Immunological Function, The Lancet, September 14, 1968, p.611. Modern allopathic medicine is based on the germ theory of disease; an INCORRECT theory. In the US today we have a plethora of drugs and allopathic doctors; we have multi-million dollar machines to treat; we spend about 4 Trillion bucks a year on "health care". If drugs and allopathic medicine were the answer we would be the healthiest people on earth. We are an unhealthy nation and our health continues to decline as we pour more money into drugs and expensive "health care". 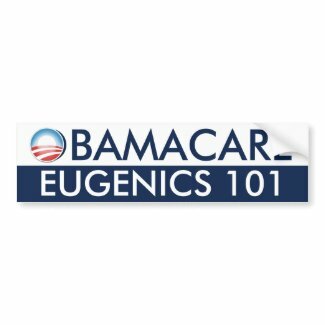 With our corrupt government taking over "health care" with "single payer", soon all the "vaccinations" and "drugs" that guarantee poor and worse health will be MANDATED by law. Lets try the other way!